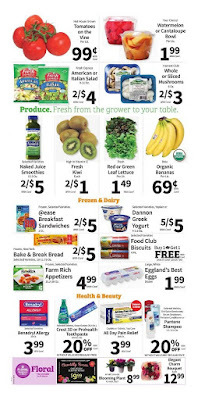 Food City weekly ad circular offers Ginger gold apples 5 lb. bag. Seedles grapes, Sweet corn 5 pk. Food club string cheese 24 oz. Lay's potato chips 9.5-10.5 oz. Myfield ice cream 48 oz. Artisan cheese 5-8 oz. Powerade sports drink 32 oz. Cottonelle bath tissue 12 double rolls. Florida's Natural orange juice 59 oz. Seafood is available at Food City including Fresh cod fillets per lb. Tuna steak per lb. Cooked shrimp per lb. 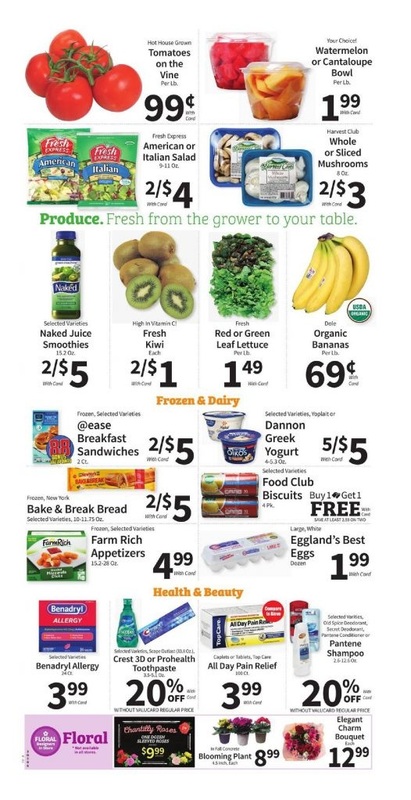 Here are Food City ad this week! Produce fresh from the grower to your table. Get Tomatoes on the vine per lb. Watermelon or cantaloupe bowl per lb. American or Italian salad 9-11 oz. Whole or cliced mushrooms 8 oz. Red or green leaf lettuce per lb. Organic bananas per lb. Dannon greek yogurt 4-5.3 oz. Food clun biscuits 4 pk. Nabisco oreo cookies 7.5-18 oz. Keebler vanilla wafers 6.6-12 oz. Food club mayonnaise 30 oz. Plastic cup or foam plates 30-50 ct.
Food club dip or sour cream 16 oz. Don't forget to see Household essential products like Charmin bath tissue 4-12 rolls. Puffs facial tissue 48-56 ct. Downy fabric softener 41-51 oz. Tide laundry detergent 92-100 oz. Also see Health & Beauty products including Crest 3D prohealth tootpaste 3.5-5.1 oz. All day pain relief 100 ct. Pantene shampoo 2.6-12.6 oz. Benadryl allergy 24 ct.
View the full ad, plus more deals every day at Food City official website. Always check this page for the latest Food City weekly ad circular this week!